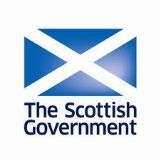 SOPA's Caroline Clark, Christine Wilson and Tom Berney met the Scottish Patliament's Local Government and Communities Committee to discuss their scrutiny of the draft Fuel Poverty (Target, Definition and Strategy) (Scotland) Bill. The bill is aimed at redefining fuel poverty and setting a strategy and target dates for insulating houses and improving the energy efficiency of homes in Scotland. They expressed some reservations about the contents of the bill and SOPA has been invited to follow up with written comments.